The band behind "Radioactive" has something new in mind for the game. With Infinity Blade 3 just days from release, iPhone owners - as well as those buying the new iPhone 5c and 5s next Tuesday - are thrilled to see what the final chapter has to offer. Today, ChAIR Entertainment revealed a new song from Imagine Dragons. The company announced the collaboration with the band behind the popular song Radioactive, stating that its new track, Monster, will debut exclusively in the game before becoming available on iTunes. Monster was written specifically for the game, and you'll hear it during one of the more crucial battles. As a bonus, players that click the album cover hidden within the game will gain access to an exclusive weapon - the Imagine Dragons axe, which you can see in the screenshot above. 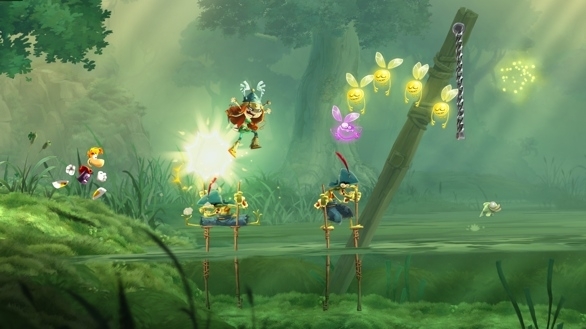 "At ChAIR, we're always looking to partner with talented artists who are masters at what they do - whether they be writers, musicians, directors - and to collaborate in a way that adds an even greater level of entertainment to our games," said Donald Mustard, the game's creative director. "We've been huge fans of Imagine Dragons since their early days, and are honored to feature this amazing new song in Infinity Blade 3." 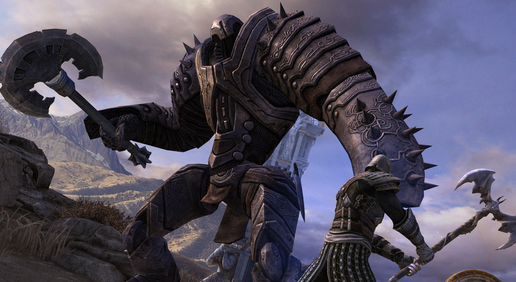 Infinity Blade 3 releases September 18th exclusively on the App Store. You can pre-order the "Monster" track here.